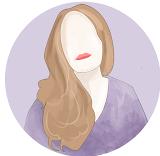 The New Beginnings Coffee Club was created to gives it's owners just that - A New Beginning, but it is somewhere Jenny feels she would never need for that reason. She is wife to a gorgeous millionaire, lives in a mansion and has a wonderful daughter who is loving life at her privileged private school. 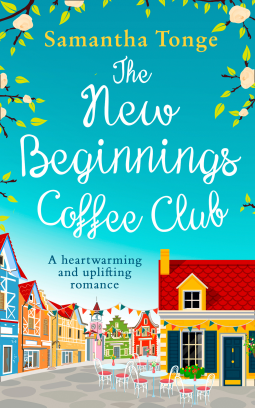 However, her little dream isn't set to last when she very quickly loses everything and ends up drowning her sorrows with tea and coffee at The New Beginnings Coffee Club. What begins as a friendly ear from the owners Noah & Elle turns into a place to stay and a job to get her back on her feet. It really is the second chance she needs, but feels she doesnt deserve. That been said, Jenny then throws herself into creating a new life for her and April. With no help from her ex, and a constant battle from April who is missing her old life - can it really all work out? Samantha has done it again, she has created a wonderful venue to stop by for a chat with Noah & Elle. Noah and Elle are wonderful people, who have been through there own personal battles and just want to give people somewhere to visit when they need another chance. Noah is a sweet man who could answer any question you would possibly have about coffee. Elle makes for the perfect housemate, a lover of musicals and seeking a new BFF the team just work together so well. The New Beginnings Coffee Club goes deeper than just a second chance read, it tackles some deeper issues which i didn't expect, but it does it in a wonderful way. It was heart warming and sweet, I loved watching the characters change and discover who they really were and for me that was my favourite thing, especially watching April change from a reality tv obsessed child who didnt want cake to someone miles away from that.